Yesterday, March 28th, marked two years since my father passed away after a ten-month dance with cancer. 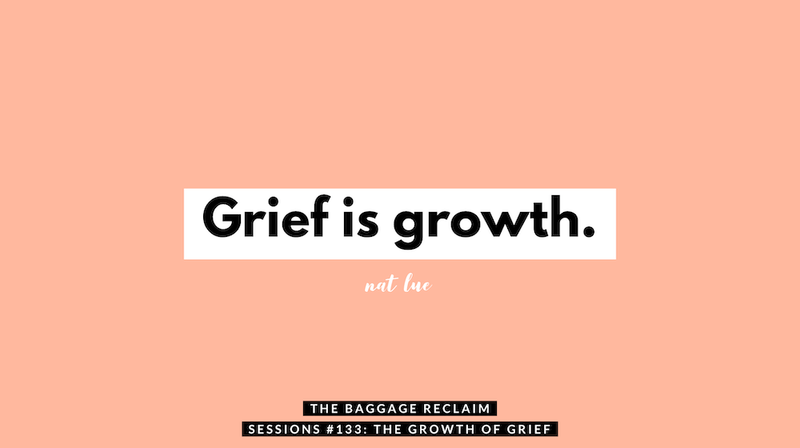 If there’s one thing I’ve taken away from this whole experience, it’s that grief will grow you — whether you want it to or not! 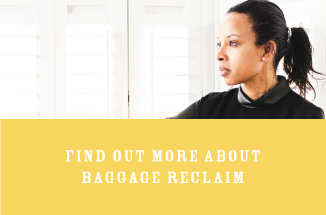 In this week’s episode of The Baggage Reclaim Sessions, I talk about the growth of grief. I talk about the conflicting emotions and inner battles we have, why grief can be very lonely at times, and why I’m more of who I am as a result of grieving. Loss isn’t just about bereavement; we experience a loss every time there’s a gap between reality and our hopes and expectations. Grief will call on us whether it’s as a result of a breakup, redundancy, fallout, having to grow up, not meeting our vision of our ideal self or, yes, bereavement. Grief will stretch us. It will push us to edges that we didn’t know were ours. It will rough us up, and then smooth us out in other ways. It will push us in ways we don’t want to be pushed (even though we need to be). We want to control grief. Just when we think we’ve got it all figured out, it catches us off guard, often with something that we wouldn’t necessarily associate with the source of our pain or grief, or with something that we’d convinced ourselves that we were ‘over’. Grief is a lonely experience. No one else is having your grief experience, even when it’s a loved one grieving that same person. They’re not thinking your thoughts or feeling your feelings. Some people believe that how much misery they’re experiencing, how much pain they’re in, is an expression of how much they felt. It isn’t. It might be perceived as evidence of the person’s wrongdoing, so they don’t want to let go, and they will actively make themselves miserable. It’s that saying: pain is inevitable, suffering is optional. When I went to a dark place, it was because I felt as if I didn’t have a right to be in so much pain when we hadn’t had the ‘atypical’ father-daughter relationship. I, yes, compared myself to people who had lost a parent who they were really close with. It didn’t feel as if there was room for my narrative (there was, there is). My pain, my loss seemed insignificant by comparison. Grief pushed me to be vulnerable. Expressing what I felt, often to the people I felt awkwardness around, lifted me out of my pain. If we hold on to being in pain, we can’t be in the space of love. Loneliness is what we experience when we become emotionally adrift from our loved ones because we’re not sharing our innermost feelings and thoughts. Once we start to voice the stuff that isn’t pretty, but we also begin to talk about where we’re at and what we’re going through, we plug back in. When I found out that the chemo hadn’t worked and that he didn’t have much time left, I tortured myself about when it was going to happen. I hated being out of control. One day, I heard my inner voice loud and clear: What difference will it make if I know when he’s going to die? I had to surrender to not knowing and try to be as present as I could. It took vulnerability. We want to know how things are going to unfold so that we can prepare ourselves. And, of course, we can’t. We have to be vulnerable and show up. Everything can change in a split second. I’m fundamentally me, but I’m changed by grief — and that’s a good thing. Grief, even though you will wrestle with it, you will become more of who you really are. Grief sweeps up the detritus of your life, whether you want it to or not. It pulls in the resolved and unresolved. You’re forced to feel. You’re invited to see what you couldn’t see before. Grief propels you forward. From the moment you become aware that something isn’t right, that a major change is in the offing, you start, without realising it, grieving who you thought you were or how you thought things were going to be. As a result of grief, you will cut back on the people pleasing and perfectionism because you just don’t have the bandwidth for it. And that’s a good thing. Losing my father, turning forty — they triggered a period of great uncertainty in my life. I felt very lost and confused. I realised that I wanted to be and do more. And because I’m a recovering people pleaser and perfectionist, I pushed me. That was my habit. And then I realised that I don’t want to push me because, well, the grief wouldn’t allow it. It said, “You can’t do this to yourself”. I’ve mourned the loss of the idealised version of myself. I’ve learned to be OK with where I’m at even if where I’m at isn’t where I thought I would be. When we expect to be a particular way, it’s because we’re trying to control things. When we want to know how long it’s going to take or whether we’re grieving “right”, we’re trying to control things. All we can do is try to be present to our feelings and go easy on judging us (or the feelings). Podcast Ep. 93: Am I Lying To Myself? I felt very moved by this episode, Natalie. I felt for you and for myself. Thank you for sharing your process with us. Thanks so much, Anna. This means a lot.